One of the spillover benefits of any professional golf tournament is the sideshow attractions. In a way it may sometimes have the feel of a circus – not in a calamity sense but more like a curiosity seeker. For a passionate golfer or a golf nut this is always an area for fun and exploration. The RR Donnelley LPGA Founders Cup has provided us with a small city block for discovery. Within this sphere of exploration we have discovered a most classy magazine dedicated to and focused on the women golfers of the world - Ladies Links Fore Golf Magazine. The magazine is the brainchild of several LPGA Teaching and Club Professionals who sought to fill a void that was created when Golf for Women passed on to the great 18 holes in the sky. Its singular purpose is to provide a written and virtual meeting place for all women golfers. Each issue contains articles and interviews on all aspects of the game – personalities, instruction, fashion & gear, and fitness & health. It is fashionable and elegant, filling a valuable niche in the world of women's golf. Affectionately billed as LL4G, it is the Official Online Amateur Golf Community of the LPGA and the website is worth a visit to get a feel for the quality of this magazine – http://www.ll4g.com/. General information about golf as the game of highly notables of the world. 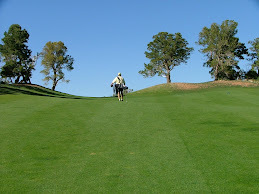 Golf is the game of elites and it is a terribly addictive activity of heart and soul. Get more information with tourgolfgalaxy.